The grand final of The Big Pitch contest took place at the Centurion Hotel on Tuesday 10th Feb 2015. 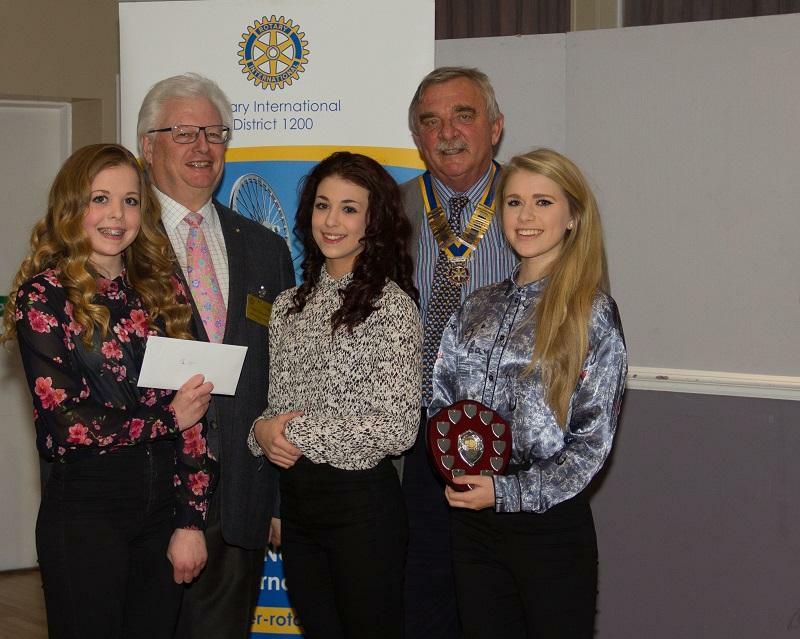 The winners were MakenDo Kits who are shown receiving the first prize of a shield and 100 from club president Steve Scott and Patrick Simpson of Mendip Rotary Club. The Big Pitch is a business competition run as part of the curriculum for year 10 students studying Business Studies with Jayne Hutton at Somervale School. Pioneered by Patrick, this is the first time that Somer Valley have taken part. 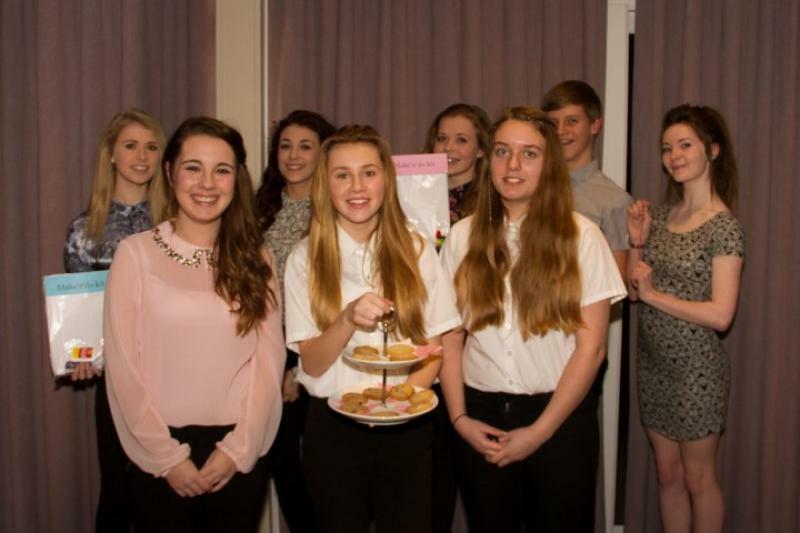 Students formed themselves into 8 teams of 3 or 4 in September and developed their own ideas for a business which ranged from cooking fudge, manufacturing rope bracelets and making craft kits for young children. 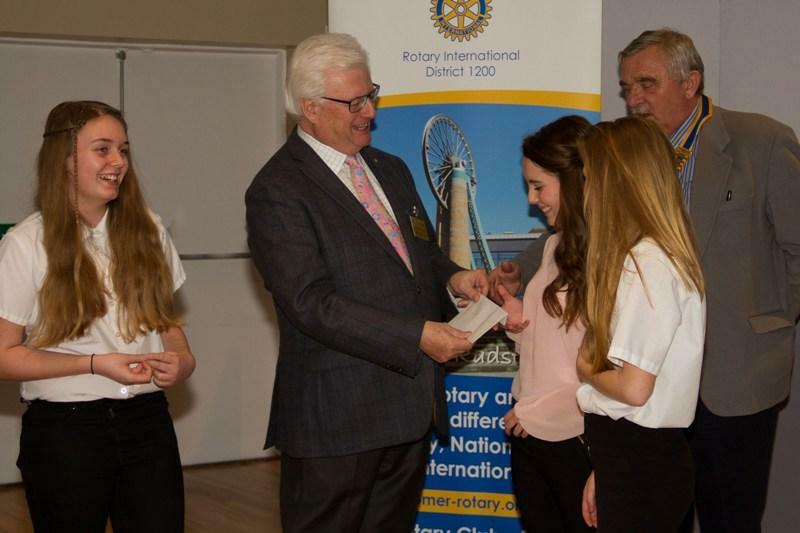 Each team was loaned 50 start-up money by the club and was mentored by Rotarians during weekly lessons leading up to Christmas as they developed their ideas and started to make and sell their products. All the teams made a profit and presented their results to the headmaster in the school hall in January when three finalists were chosen by a panel to go forward to the Grand Final. This was attended by parents, teachers, Rotarians and the Mayor where the team making the craft kits came out overall winners. 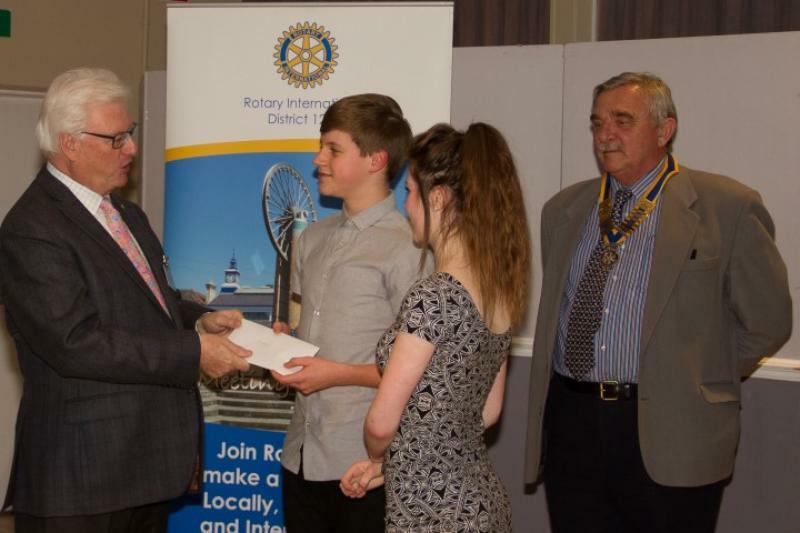 Deputy head Mark Kenny commended Mrs Hutton, the Rotary Club and most importantly the students on the quality of presentations. All present were enthusiastic to run the competition again next year.